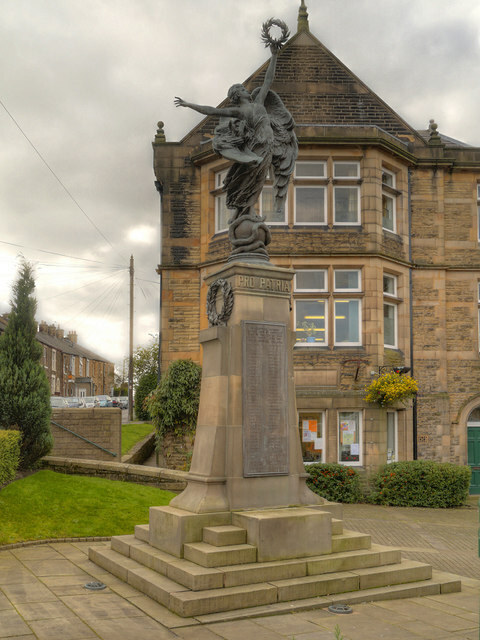 The memorial is (almost) identical to that in Glossop (SK0394 : Glossop War Memorial, Norfolk Square), consisting of a of a stone monument on a multi-stepped base and topped by a statue of an angel holding a laurel wreath. The metal panels on the base name those residents of Hadfield who lost their lives in the two world wars. (on the stone plinth) PRO PATRIA. This page has been viewed about 719 times.